How Does ASD® Ensure Quality? We’ve all experienced a project, either at home or the office, that didn’t go as planned. The final product didn’t work, wasn’t finished on time, cost twice as much as projected, etc. Sound familiar? It’s easy to assume that engineers, support people, and contractors are all doing a good job. However, from years of experience and hearing other's painful stories, we now know that this, unfortunately, isn’t how the world works. One cannot assume that quality is designed, built in, or a natural by-product of work. The Project Management Institute says quality must be planned into a project and consistently monitored. For a project to run smoothly and get delivered on-time, in-budget, and with deliverables that meet expectations, it takes a lot of work. It requires a network of skilled and determined individuals who are continually monitoring, managing, and driving quality. A project will only be as good as the people behind it. In fact, BICSI recently did a study on why cabling projects fail. The number one reason was poor project management, followed by lack of manpower and building access. 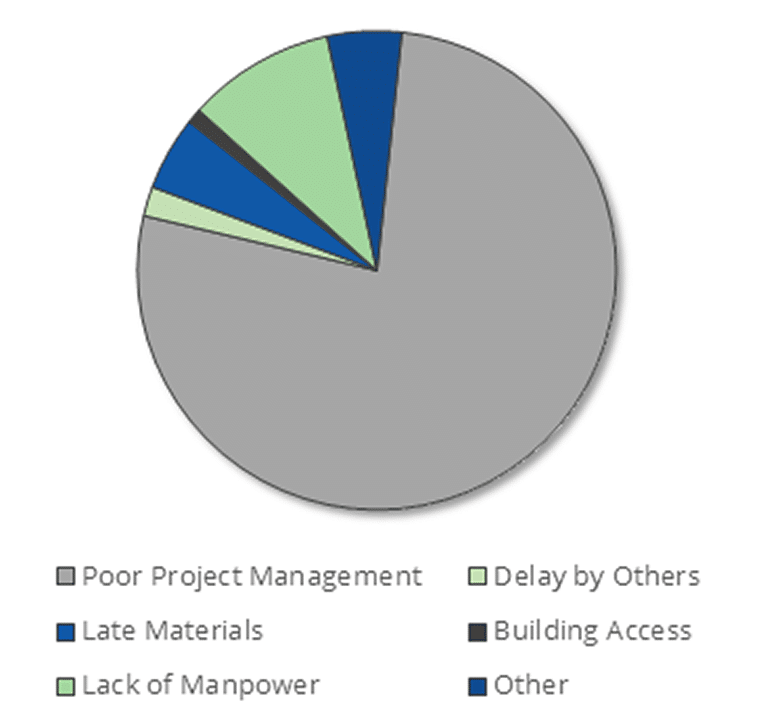 Other problems that hurt projects include lack of communication and unskilled technicians. All of these problems have one thing in common: the people behind them could make or break the situation. In most cases, they crumble and break. So how do you overcome these massive hurdles? How do you get the right people working on your project? How do you ensure high-quality deliverables time and time again? Since ASD joined the industry almost 30 years ago, we have developed systems and processes to combat these common pitfalls. While there are hundreds of ways how not to work a project we’ve discovered three key factors that help ensure quality. ASD has a network of reliable and certified technicians called Authorized ASD Installers (AASDIs). There are over 12,000 technicians across the United States who are ready to work. Our detailed database has all of their information including licensing, insurance, background checks, and ratings based on previous experiences. This database provides us with the information we need to get the right people on site. Older systems, large-scale project sites, multiple devices that need servicing, or whatever the unique situation is, there’s a tech who’s skilled and ready to hit the streets. Read More: What’s Better for You? Projects Staffed With W2 or 1099 Technicians? Our AASDI network allows us to quickly and easily find techs nationwide and because we’re able to find techs locally, they can get to sites faster and without excessive travel costs. This means repeat trips to the site, projects that happen in phases, and quick service calls all cost less and have a faster turn around time. The AASDI mobile app allows for real-time project updates, streamlined communication, and more efficient technicians. Through the AASDI Mobile App, technicians can communicate with PMs, check in/out of sites, submit deliverables, access essential information, and more with the click of a button. By having all of this information at our fingertips, PMs, techs, and project stakeholders can benefit. Minimizes time on site: Techs can alert the on-site contact that they’re on their way, know where they’re supposed to go, they can check in/out with the touch of a button. Reduces the number of trips: With the constant and smooth flow of information, techs know exactly what they’re supposed to do and what’s expected of them before they even get to the site. This means they’re more prepared and more likely to get everything accomplished in one go. Confirms quality of deliverables: Before techs can leave a site, they’re required to submit deliverables such as photos, signatures, or other documentation. These get sent directly to PMs so that they can see, inspect, and monitor quality before the tech leaves for the day. Every project that comes into ASD is assigned an experienced project manager, regardless of scope. We know how important a good project manager is, that’s why our average PM has 16 years of experience in the industry. Their tenure and the tools and process we have in place for them, ensure superior service and quality on every project. Many of our PMs started in the field and are professionally trained, holding PMP or BICSI certifications. These seasoned vets can often anticipate problems before they happen and know how to quickly defuse situations that do arise. The AASDI network, mobile app, and experienced project managers are how ASD ensures quality. It’s how we deliver audio visual solutions that are user-friendly, security systems that are reliable, structured cabling infrastructure that’s capable of supporting client demands, and more. Want to see some of our examples? Check out our Project Profiles page. Download the “How Does ASD Ensure Quality?” pamphlet below.